Joe Sutter, who died Tuesday at age 95, was known for his bold technical designs, for tough but inspirational leadership, and for a roguish sense of humor that made him a vibrant personality. 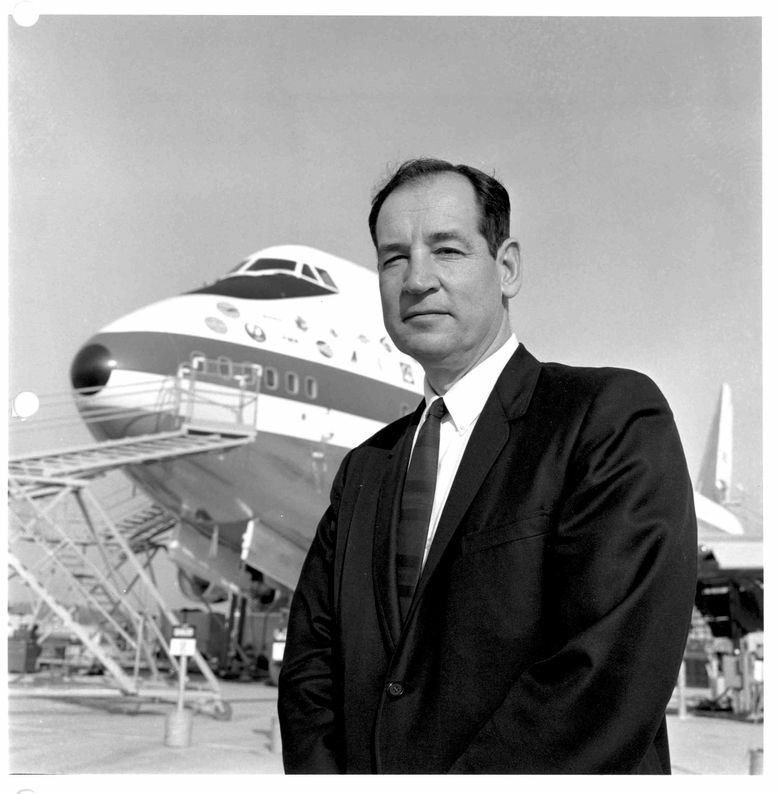 Joe Sutter, the legendary Boeing engineer who led development of the 747 jumbo jet, was known for his bold technical designs, for tough but inspirational leadership, and for a roguish sense of humor that made him a vibrant personality to the end of his days. Mr. Sutter died Tuesday at age 95. His son, Jonathan Sutter, said his father had developed pneumonia but was recovering and was expected to leave the hospital when he died suddenly. As recently as the first week of August, Mr. Sutter had been working on Boeing’s behalf: At the family’s summer compound on Hood Canal, he hosted a Boeing party for executives of Cathay Pacific who had just taken delivery of a new 747 — the sort ofevent he’d thrown several times over the years for various airlines. Born into a large Catholic family with Eastern European immigrant parents whose family name was changed at Ellis Island, Sutter grew up on Beacon Hill overlooking Boeing Field. He attended Cleveland High School and the University of Washington, where he earned a degree in aeronautical engineering. On leaving the Navy after World War II, Mr. Sutter returned to Seattle in 1946 and soon accepted a job offer from Douglas Aircraft in California. Luckily for Boeing, his wife, Nancy, had just given birth to their first child, and so he deferred that move and accepted a “temporary” job with the local plane maker. There, Mr. Sutter fell under the spell of inspiring engineers, such as George Schairer, who were leading Boeing toward its pioneering development of jet airplanes. He never left. 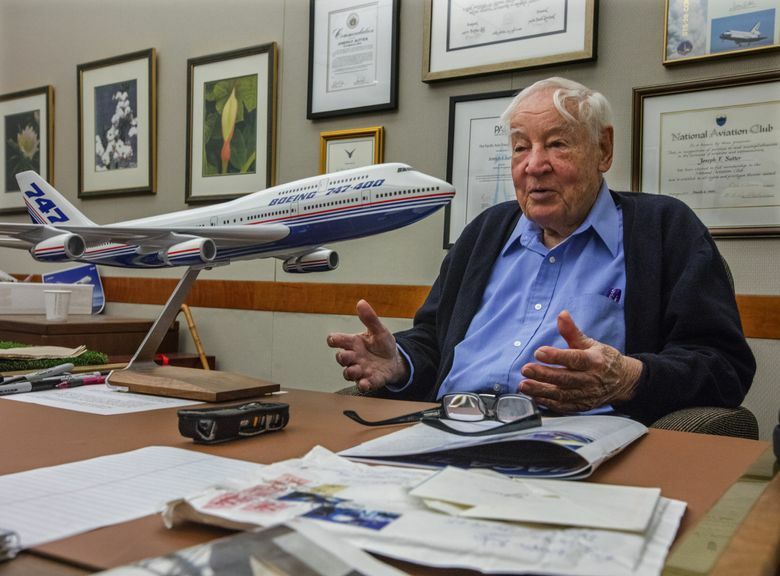 Mr. Sutter worked on Boeing’s first jet aircraft, the 707, riding along on early demonstration flights with airline officials. Later he led the technical staff on Boeing’s first short-haul jet, the 727. During development of the 737, Mr. Sutter earned a patent for the way the engines were placed tightly under the wings. In 1965, Mr. Sutter began a study of a new long-distance jet, the 747, with which his name will forever be closely linked. Built to an unprecedented size, the initial model would carry two and a half times as many passengers as the 707. 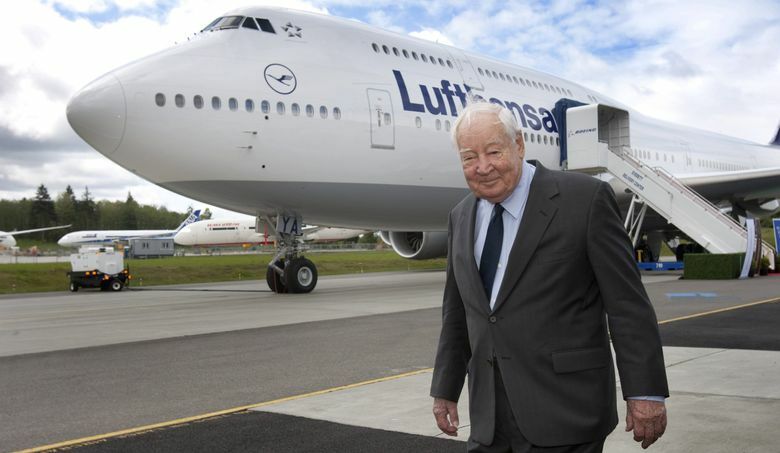 He and his engineers initially played second fiddle to the more glamorous Boeing development project at the time, the Supersonic Transport (SST). But the U.S. government ultimately killed funding for the SST, and the 747 turned into the icon of international long-haul flying that established Boeing’s supremacy in commercial aviation for more than two decades after the plane entered service in January 1970. As a leader, he was known for his strong-willed pugnacity. His son, who worked at Boeing for 20 years while his father was there, recalls his fierce reputation at work for standing firm for what he thought was the right thing to do. Fighting for his technical people, Mr. Sutter sometimes butted heads with Boeing’s corporate executives. He successfully argued against the idea of basing his engineering team in Walnut Creek, Calif., instead of Everett, where the plane was to be assembled. “The engineers have to be with the production people,” he told executives discussing the possible move. When development money was tight and Boeing Chairman Bill Allen requested cuts, Mr. Sutter insisted to all the top brass in a tense meeting that cutting his team of 4,500 engineers by 1,000 heads would ruin the program. In an interview this spring ahead of Boeing’s centennial celebrations, Mr. Sutter said he walked out of that meeting certain he would be fired. But he kept his job, and so did all his engineers. He also had to win over customers, such as Juan Trippe, the head of 747 launch customer Pan Am. To persuade Trippe to let go of his wish for a double-decker aircraft in favor of Mr. Sutter’s alternative concept of a cabin interior wider than anyone had ever seen, Boeing had a plywood mock-up built that suitably impressed the airline executive — and so was born the widebody jet. In 1986, at 65, Mr. Sutter was appointed by President Reagan to serve on the high-level committee investigating the explosion of the space shuttle Challenger. Appalled that NASA’s safety standards were lower than those in his commercial-airplane world, Mr. Sutter was typically vocal in his criticism and pushed a key recommendation of the committee to implement a new safety-management system. As recently as June, Mr. Sutter was visiting his office at Boeing Commercial Airplanes headquarters in Longacres once a week. Answering emails and taking calls, he was still an able promoter of the giant airplane he created. In May, the president of Russian air-cargo company Volga-Dnepr, Alexey Isaikin, visited Boeing in Seattle during sales negotiations and specifically requested dinner with Mr. Sutter — a pilgrimage that surely helped seal the Volga-Dnepr 747 deal announced at the Farnborough Air Show in July. Mr. Sutter’s wife died in 1998. Besides son Jonathan and his wife, Barbara, of Seattle, he is survived by daughters Gabrielle Young of Arlington, and Adrienne Craig and her husband, Alan, of Seattle; five grandchildren, Alisa, Jonathan, Koa, Tatiana and Gianna; and three great-grandchildren, Sarah, Joseph and Mose.